Beauty and pamper pack with Moisturiser, lip balm and a scented soy candle. 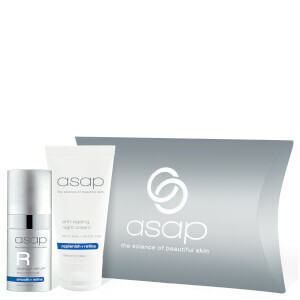 Treat your skin to ultimate hydration with asap Moisturising Daily Defence SPF 50+. Skin is instantly hydrated with this light formula that's easily absorbed and won't leave behind any residue. Suitable for normal, combination, sensitive, dry and dehydrated skin this moisturiser is great for wearing under foundation and with an added bonus of SPF 50+, you can be assured you will be protected from the harsh external elements. The moisturiser is not oily, won't cause breakouts or whiteheads and you won't get sunburnt either! With effective anti-ageing ingredients, the appearance of fine lines and wrinkles will be diminished and elasticity and skin tone will be improved. Asap Hydrating Lip Balm contains B3 to help moisturise, condition and smooth lines. Alpine Rose to aid the occurrence of cold sores and Bisabolol to soothe lips and accelerate healing when needed. This new and improved formula also has SPF15 to protect against UVA/UVB damage. This deliciously rich balm blended with natural oils hydrates and protects, while leaving a natural shine. Hand poured candle with essential oils. 12 hours burning time.